HomeBlogPaid SearchDigital assistants and PPC – what does the future hold? Digital assistants and PPC – what does the future hold? There’s a lot of attention being paid, at the moment, to responses given by various digital assistants in answer to queries such as ‘who is king of America?’ (Obama apparently), but where will these AI helpers leave PPC? As a science fiction fan, beyond the Minority Report style virtual computer screens, my second favourite near future technological advance has always been the Star Trek computer – with its superfast response times and 100% accurate voice recognition. You never hear: ‘I’m sorry, I didn’t catch that’ in the voice of Majel Barrett-Roddenberry, but what is also noticeable by its absence is advertising. The same is true for interactions with Alexa, Cortana, Siri, Echo and the Google Assistant – their answers, though sometimes wildly inaccurate, are never sponsored. This isn’t of much concern while our voice queries remain query based (who’s this, what’s that, when’s the other), but history tells us that this is unlikely to be the case for long. 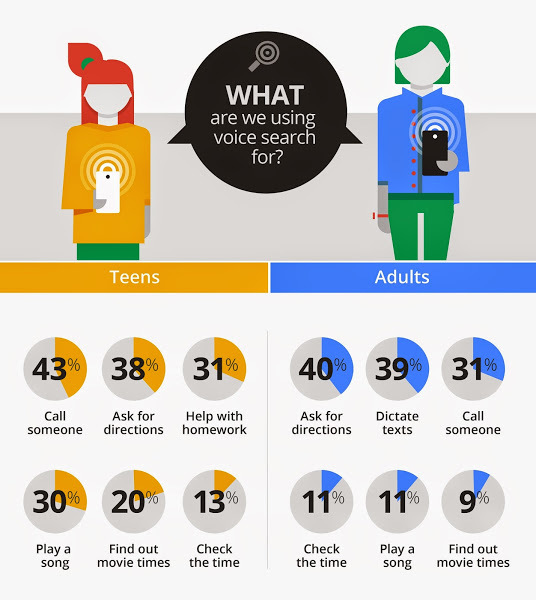 With 55% of teens and 41% of adults already using voice search on a daily basis, and the general usefulness of digital assistants, it is only a matter of time before people begin to expand their use of voice to other areas. According to Google’s Consumer Barometer, 41% of people (of 3,741 respondents in this case) presently use a mobile device (smartphone or tablet) to research products prior to purchase. Add this to list creation (shopping and to-do) and a host of other potential awareness level activities and the pool of people using their phone to look up, plan and prioritise activities and purchases is larger even than 41%. I wish I just had to think of buying a plane ticket, and didn’t have to go through this lengthy dialogue to explain it to somebody else. Eventually, I would love to just have some smart system sit in my brain and solve these problems for me. Many people that listen to podcasts or who feel they can manage with Spotify’s inability to personalise ads (Olly Murs interrupting Tom Waits – are you really spending that ad money well, Columbia?) will be familiar with receiving their ad content aurally. These tend to be generic ad-slots in the vein of those served on traditional media, however, and in a world which demands personalised content these are unlikely to be successful (which is why you won’t see stamps.com crop up in your search results beyond a very narrow group of searches). This concern is not new (to my chagrin), however, in fact the Business Insider reported that a number of investors raised the issue at the 2016 earnings call for Google’s parent company Alphabet – an issue that, while reassurances were given by CEO Sundar Pichai, Google was not able to satisfactorily address, stating only that it would expand Google’s business. With Google remaining tight lipped on the issue (we can, I feel, be confident this has not caught Google unawares) it remains for us to theorise on how Google may eventually seek to monetise voice search. As stated above, the one size fits all advert is unlikely to work – but more than that, it goes against the core of Google’s ad offering, its ability to offer enormous options in terms of targeting. It’s therefore safe to discount this method. 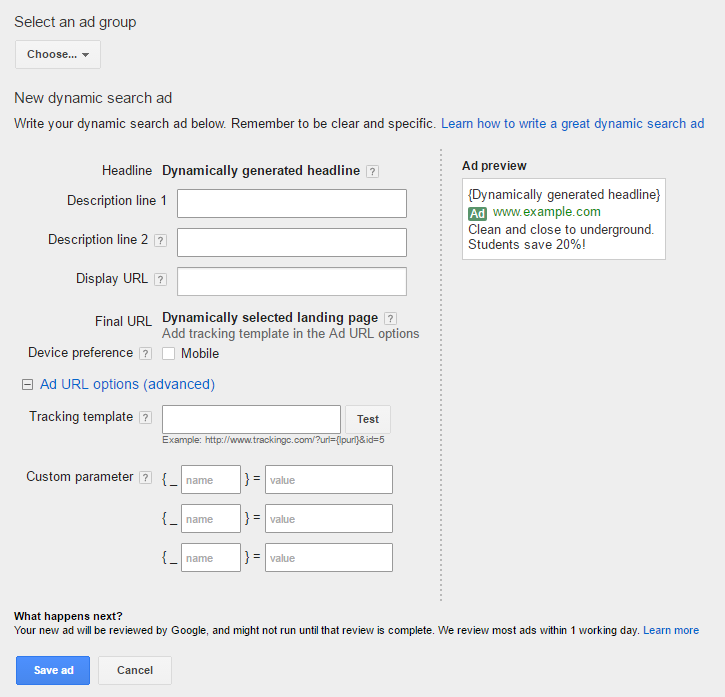 The answer, I feel, lies in a variation of an offering Google already offers – the dynamic search ad. By operating using a variation of the CPC model (cost-per-access?) and dynamic ads tailored to match potential voice searches, Google could well look to generate personalised spoken ads to serve against queries with specific intention levels. By allowing the personal assistants to serve appropriate content from a brand’s website, you also allow the necessary flexibility to serve appropriate content for variations in query structure, regional dialects and also for specific products and services. Yet, the willingness to listen to ads is likely to be low and while an increasing familiarity with your digital assistant may lead to an increase in trust of their advice (there is a reason your assistants have a female voice in a range lower than average), it is unlikely that consumers will listen to multiple ads for a single search – with both of these factors likely to contribute to highly competitive and, consequently, expensive ads for key terms and trophy keywords. So, with one ad available (possibly two at a push, unless a skip function is incorporated), where will it fall in the exchange? Will consumers be more or less likely to switch off for an ad at the beginning or the end of their answer? Providing the answer first would reassure the consumer that delivering that answer (and not the ad) is most important to the search engine, but could well leave the ad unserved, while the irritation of a pre-answer ad is likely to actively discourage many consumers from interacting with the ad. The right way, it seems to me, would be to serve the ads conversationally. While this is almost certainly more difficult to achieve than a pre or post answer ad, it is also the least likely to irritate. Searcher: [name of digital assistant], what’s the nearest coffee shop? This more natural approach to the ad takes advantage of the digital assistant’s main competitive edge – the humanity of spoken interaction. What approach Google and the other digital assistants take remains to be seen, but in the meantime it would be a good idea to ensure that websites are in order with regards to semantic markup. Make sure that everything is correctly labelled. While digital assistants are getting smarter, they will – for the foreseeable future – need all the help they can get from the sites they draw from (remember, they recently thought Obama the king of the USA). For more search marketing insights, take a look at our blog or extensive library of eBooks. Want to see what Click Consult can do for your brand? Contact us today. Or let us know what you think the future of PPC might hold in the comments below. Paid, owned or earned media, where should you spend your money? In the world of search marketing there are several factors that determine the success and failure of your brand online….